Do you want to know the basics about teeth whitening? The cosmetic dentists at High Point Smile Dentistry are here to provide you with a crash course in teeth whitening. Serving clients in High Point, NC, for over 15 years, this premier dental health care provider offers everything from teeth whitening and veneers to cosmetic dentistry and restorative dental services. When you want a brighter, whiter smile facilitated by professionals who will make sure you understand every step of the process, rely on these friendly and knowledgeable dentists. 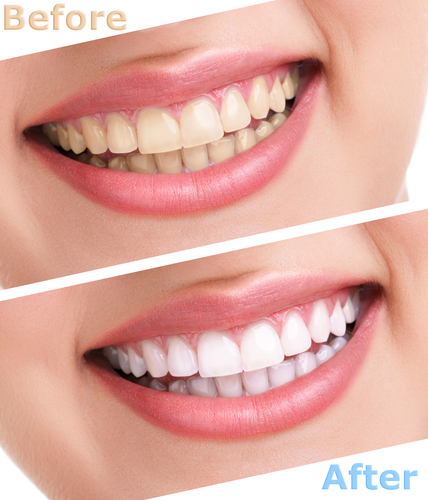 Teeth whitening is an easy, comfortable, and non-invasive dental procedure that will brighten the natural color of your teeth. If your teeth have suffered from over-fluoridation, staining, or normal wear and tear over time, your dentist will bleach your tooth enamel in order to give you a show-stopping smile. Among the most common cosmetic dentistry procedures, teeth whitening is an ideal choice when you want to look and feel more attractive and confident in your everyday life. Most teeth whitening procedures will be completed within just two trips to the dentist’s office. At your initial appointment, your cosmetic dentist will make impressions of your teeth to create custom teeth whitening trays. During your second visit, your cosmetic dentist will provide you with your customized trays along with a whitening solution. You will apply the solution to your trays and wear them at home every day for a couple weeks. You may experience some sensitivity in your teeth during this time, but it will subside soon after you finish your teeth whitening treatment program. Although professional teeth whitening is not permanent, you will likely be able to go several years before the need for a touch-up arises. When you’re ready to achieve a flawless and radiant smile, put your trust in teeth whitening services from the cosmetic dentists at High Point Smile Dentistry. Give them a call at (336) 884-4000 today to speak with a welcoming customer service representative about booking your first appointment for teeth whitening, and visit them online to find out more information about dental hygiene, procedures, and more.